LED Lighting is the future of lighting. It’s no secret that we all need to be more energy efficient in EVERY aspect of our home. LED bulbs will make a substantial difference in your homes electricity consumption. Until recently, compact fluorescent has been the solution to this problem. Fluorescent lights generally have a very low Color Rendition Index. Dimming is almost never an option with fluorescent bulbs. In addition, fluorescent bulbs contain mercury and other toxins. LED lights have solved all of these problems. Most LED lights last 30,000-50,000 hours. Many LED fixtures are dimmable and most have a much higher Color Rendition Index (CRI) – rendering nearly the color quality of halogen. Available as retrofits (for existing lighting fixtures and recessed lights), LED Eco Friendly Lights are a practical way to lower your electricity bill without requiring an expensive remodel. Like with any new technology, there is an influx of inferior LED lights on the market. Low CRI, poor color and improper thermal management will lead to premature failure, defeating the purpose of LED lighting. These are even more crucial in kitchens, where natural woods and stones are commonly used and, with poor quality light, will look drab. Does your granite look more like laminate? Wright Lighting and Fireside specializes in practical, functional, useable LED lighting, providing quality light. Rather than having pages and pages of inferior products that are trendy, our LED lighting specialists supply only fixtures that we have handled and tested. Buyer beware: many products found on the internet are imported have never been tested, which can provide poor quality light in your home. 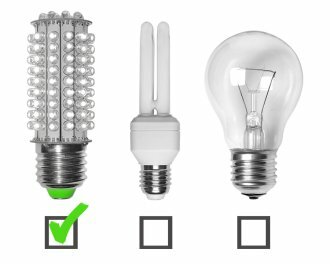 At Wright Lighting and Fireside, we firmly believe in “Energy Efficient Solutions with benefits”! Come check out our light lab to see what your room will look like under fluorescent, incandescent, halogen and LED lighting. Seeing is believing! Contact our LED lighting specialists to learn how to save electricity with your San Jose home!